These are some of the best restaurant meals in the world right now. Travel Tips: From Paris to Tokyo, are these the best restaurants in the world? These restaurants are my pick for some of the most extra-ordinary restaurant experiences in the world right now. Central Restaurante, Lima Peru is extra-ordinary. The humble entrance to this world class Michelin star restaurant in the quirky sea-side town of Milaflores, Lima Peru belies the mastery going on inside. If there is one first class meal you must have in your life, this is it and it absolutely must be the degustation to truly experience the excitement and exhilaration and biodiversity of the Central culinary journey. 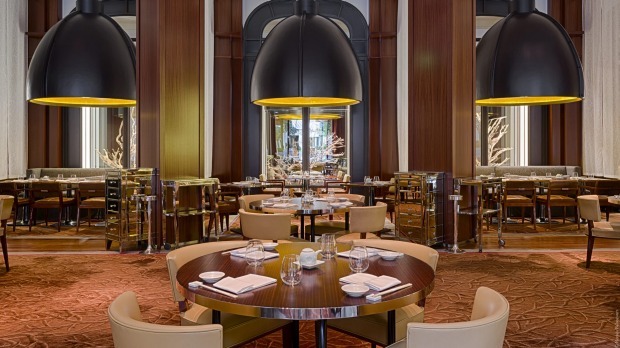 Pur’ Restaurant Paris is a true Michelin star experience. This degustation at Michelin Star Restaurant Pur’ in Paris in September was one of my life’s greatest meals, and meeting the chef Chef Jean Francois Rouquette who was in the kitchen just sealed the deal. 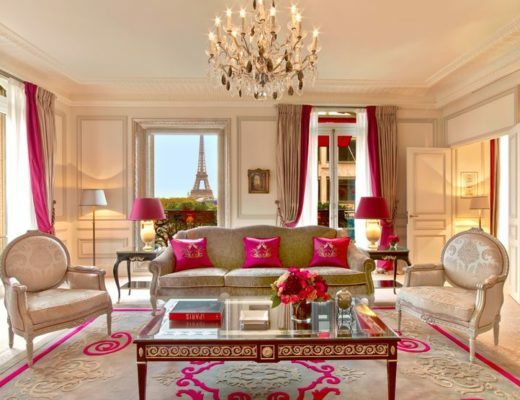 Located within the Hyatt Vendome in Paris, the setting is pastel, warm and feminine. The food delicate, surprising and delicious. I am looking forward to staying in the hotel this year, and fingers crossed I can get in fro another extraordinary meal at Pur’. My review is here. 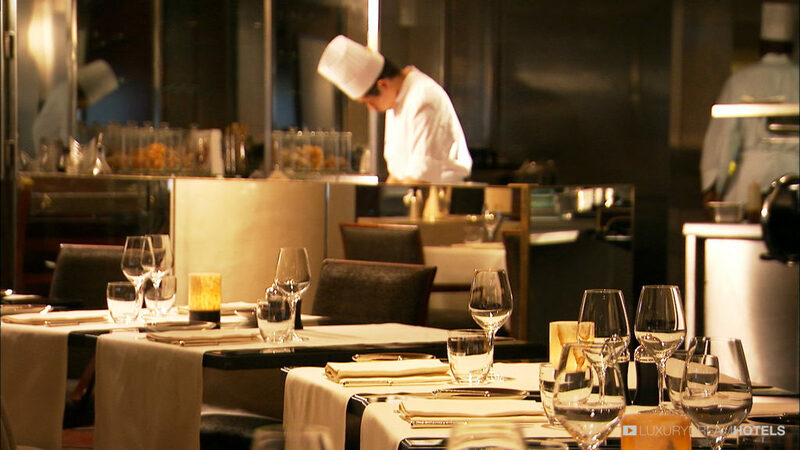 Some of the finest Italian in the world can be found in Tokyo at Bulgari Il Ristorante Luca Fantin, Tokyo. Bulgari Il Ristorante Luca Fantin, Tokyo. 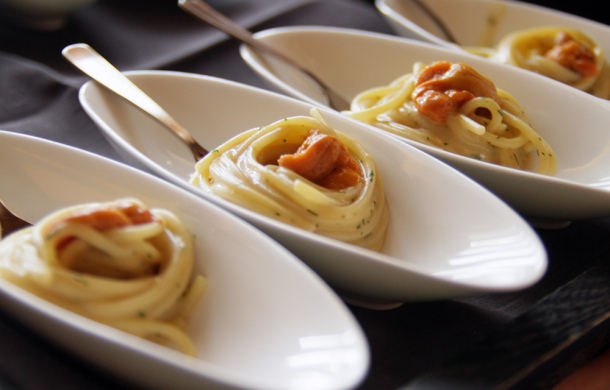 This restaurant is more of an experience than a meal, and every step is bathed in the upmarket elegance and luxury of this fine Italian jewellery brand. 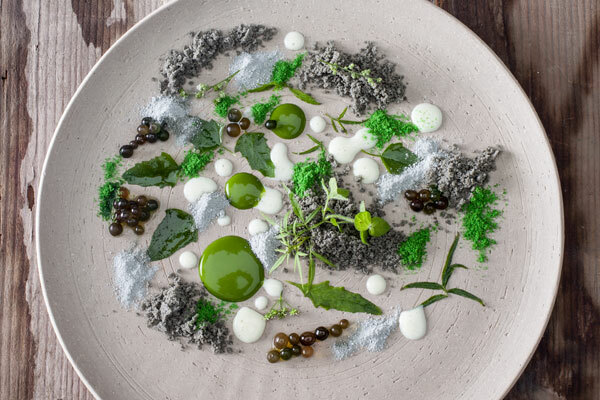 It is no wonder Chef Luca Fantin has been awarded a Michelin Star. Good Italian is not easy to find in Tokyo, and brilliant Italian a rarity in the world, but it is all here. The dining room was more like a palace high above the skyline, with huge windows and heavy, draped curtains, fine furnishings and service. The food was as much art as it was food, and every mouthful sublime. Read more details here. 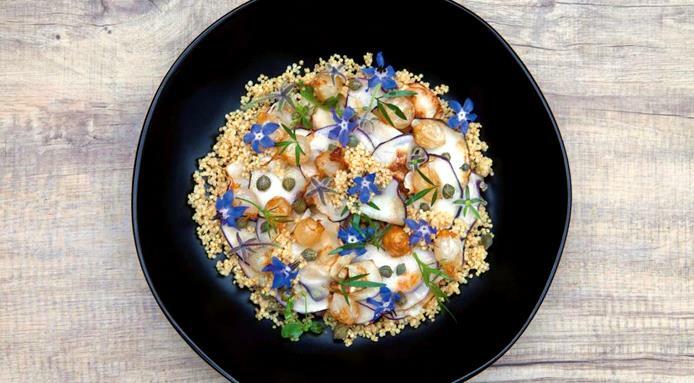 Nobu, Paris where Renae Leith-Manos loves to dine in summer in the garden. Discovering Nobu’s Parisian restaurant was a real treat in July last year, as was the gorgeous menu with Japanese-Peruvian fusion dishes, his signature style. 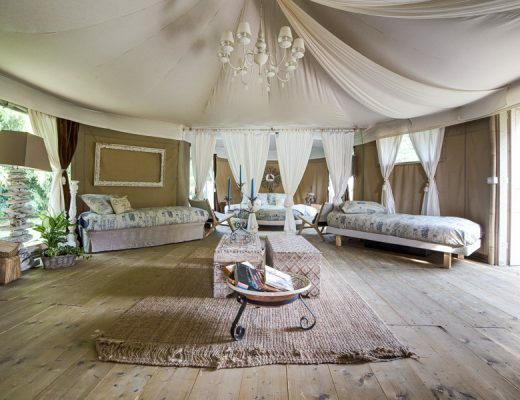 The interiors are modern, spacious and elegant. But my favourite spot for dinner in the leith of the Parisian summer was sitting in the garden in the The Royal Manceau, Raffles Paris hotel, with vines and flowers all around, and that was before we’d had one dish. The food was exceptional, the Japanese dishes were my favourites. Read more here. 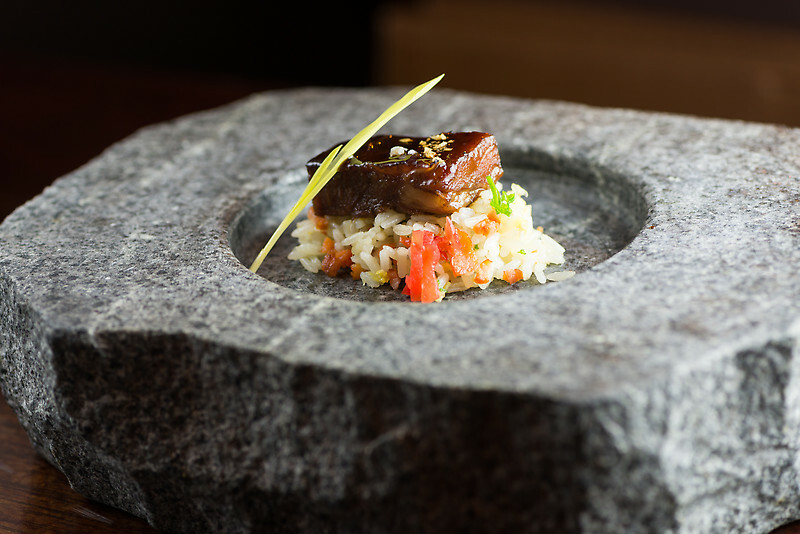 Mitsaharu Tsumura’s Peruvian/Japanese fusion food is being talked about all over the world. There is nothing like a young, energetic chef to create inspiring new flavours, and Mitsaharu Tsumura pulls it off at Maido in every single dish of his Peruvian-Japanese fusion food. This guy is being talked about as the next big thing in restaurants globally. The dining room is part space-ship, part restaurant in a good way. It is super modern, and there are plenty of shiny surfaces. The seafood is astonishing, fresh and splashed with all manner of flavours, textures and presented as art pieces each and everyone different from the next. Another must-do both for the experience as well as the incredible food. Read about my experience here. Luke Mangan’s Salt Grill and Sky Bar, Singapore, where Renae Leith-Manos loves to dine. Salt Grill & Sky Bar By Luke Mangan, Singapore. Singapore has come a long way in the culinary stakes in the last 5 years, as has this Australian chef Luke Mangan who is quietly building a global empire of restaurants, and food products. 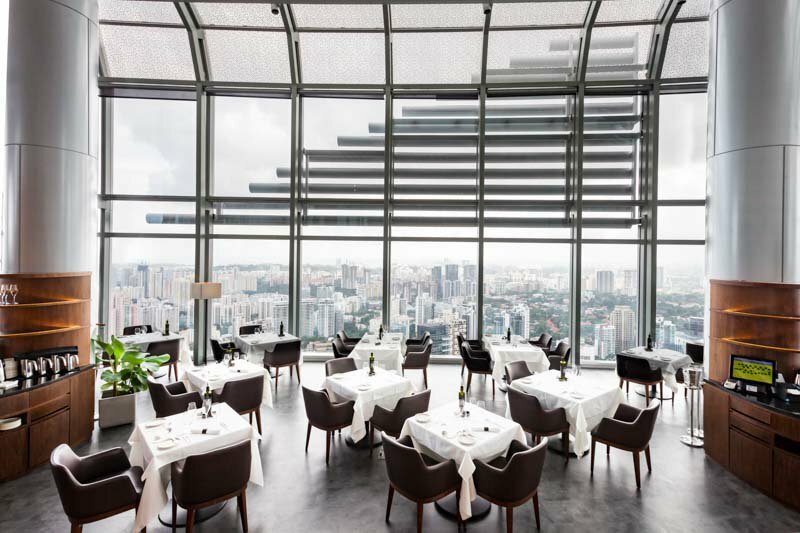 This restaurant is an experience from the moment you enter the elevator go Singapore towering Ion building to go right to the top – it’s as though you are going into the clouds. The views are astonishing, the food exceptional, pushing boundaries with the freshest ingredients from around the globe. Luke’s effervescent nature whereby he loves to experiment and surprise comes through in many of the clean but surprising plates.